Serious performance and comfort - Oceanus is our sport line designed for professional and cruiser who depend on serious performance and comfort. These boats have the best ratio of length to interior space to tube diameter of nay Inflatables on the market. As a result, they cut through the water with unsurpassed grace and provide truly exhilarating cruising. The extra-deep "V" hull and non-submerged tubes prevent unwanted friction and spray for a smooth and dry ride. Comfortable, upholstered seating and smartly designed consoles are complemented by abundant storage locker that keep gear dry and safe. 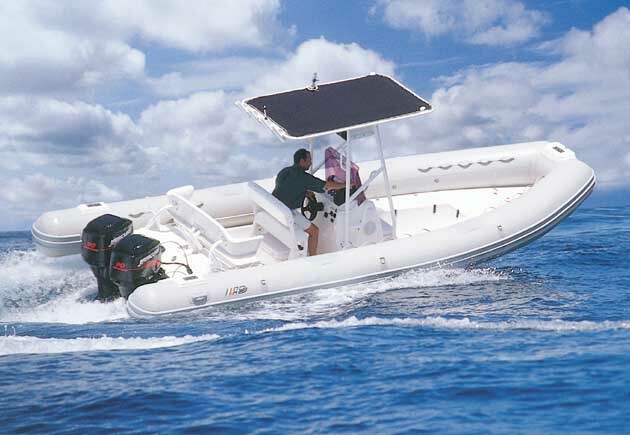 Boaters looking for an extremely seaworthy, high-performance rigid inflatable line will be pleased to know that certain Oceanus models were originally designed for the Italian Coast Guard and are currently being used by Sea-Tow (an American boat towing and rescue company). With the deepest "V" available, Oceanus boats provide the safest and most comfortable ride you'll ever experience in an inflatablee.